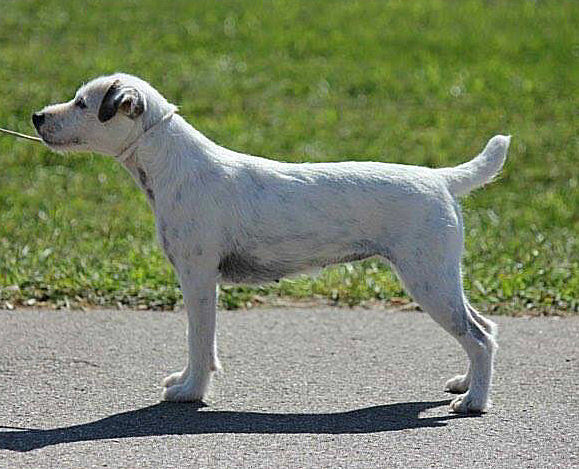 "Peach" is a daughter of CH. Brillwood El Caballero and Brillwood Uptown Girl. 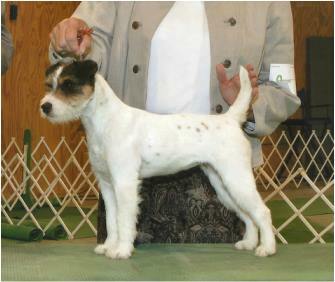 Peach has produced two lovely litters sired by GCH. Brillwood Dress Blues. She is BAER normal, PLL/LOA/SCA clear by parentage and will be CERF again later this spring. She is due to come in heat in April and can be bred to any of the Brillwood males. Gloria has one major and NINE reserves to a major! She has a fabulous easy coat, lovely correct movement, full dentition and wonderful attitude. She is a daughter of Mickey and out of a Eli daughter. PLL/LOA/SCA clear by parentage and BAER normal. She will be CERF tested this spring.